The Samsung Galaxy range of smartphones has proved to be extremely popular amongst smartphone fans around the world, and the company seemingly has something to offer everyone that includes handsets away from its flagship devices. Owners of the Samsung Galaxy Ace 2 will be pleased to hear the Android 4.1.2 Jelly Bean update official release is getting ever closer following a firmware leak. 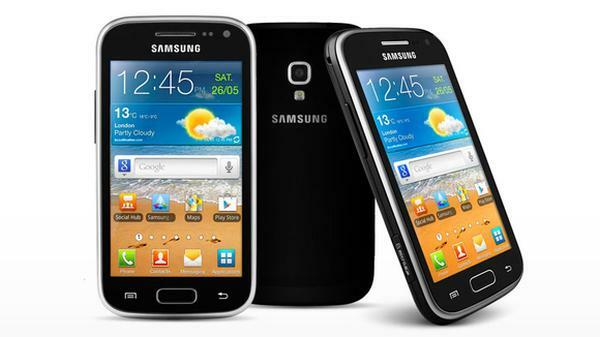 At the beginning the month we heard reports that the Samsung Galaxy Ace 2 may have to wait until April to see the Android 4.1.2 Jelly Bean update, but as SamMobile are reporting a pre-release version of the new firmware has appeared ahead of an official release. The build is dated February 17th and will bring a whole new feel to the smartphone that includes a completely new user interface, which includes the Nature UX Samsung offering that is already found on the flagship Galaxy S3. Obviously the version of the firmware that has been leaked can only be installed as a custom ROM on a rooted device, and as always we can only advise you to do such a thing at your own risk. It does mean though an official release is just around the corner, which most owners of the Galaxy Ace 2 will be waiting for. The Jelly Bean update will be much more of an upgrade compared to Android Ice Cream Sandwich OS that the handset has skipped, and compared to the Gingerbread version of Android that the Galaxy Ace 2 launched on almost a year ago, owners will be amazed at the difference. Are you looking forward to Jelly Bean on your Galaxy Ace 2? I already installed the leaked Jelly Bean update on the Ace 2 and it got a little way to go yet. Amazed they can even get Jelly Bean running on such a low amount of system ram. It gets real slow and laggy so they got some work to do yet. yes this is true. its more laggy than the android 2.3.1 firmware before because android 4.1.2 gets a lot more ram compared to gingerbread. CAN NOT WAIT! Can any one find out when the official update will be released? SO excited and getting impatient! if i install the leaked firmware can i install the official realease after ?